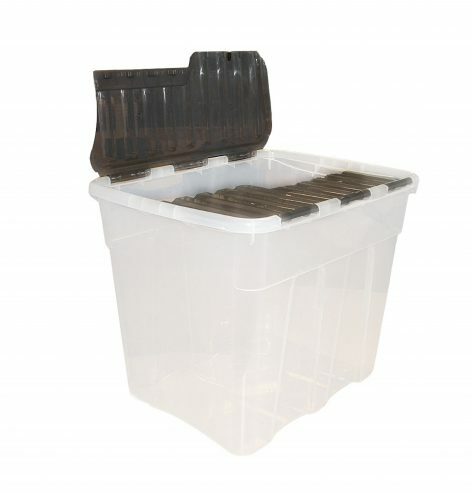 High quality storage box with ‘crocodile’ closing lid feature. Twin hinged lids are attached to the base and foldback completely to allow easy access to contents. Ideal for all around the home, office and school.